I've just watched the Wimbledon final (congratulations Andy!) and have been checking for updates on the Duchess, who as an avid tennis fan, quite possibly watched the historic final which saw the incredibly talented Andy Murray become the first British man to take the title in 77 years. Royal baby fever has truly been in full swing for the past week and we had our first 'false alarm' last night when a tweeter reported her friend, a patient at St Mary's, had heard Kate had arrived at the hospital in labour; however it turned out to be nothing more than a rumour. Needless to say there was quite the flurry of excitement among royal watchers. I must admit I was wildly mildly excited myself....ahem. Royal reporters are on tenterhooks awaiting the all important phone call confirming the news we've all been waiting for since December. The media pens have been organised. 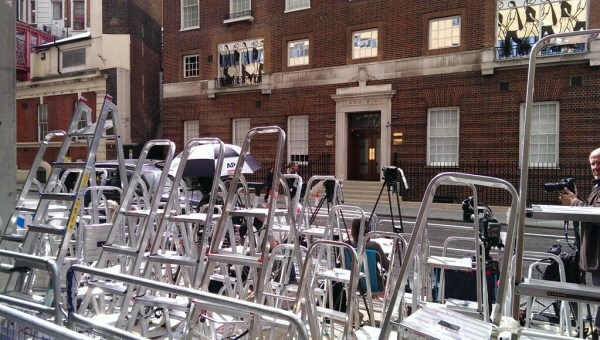 A look at the scene outside the Lindo wing. 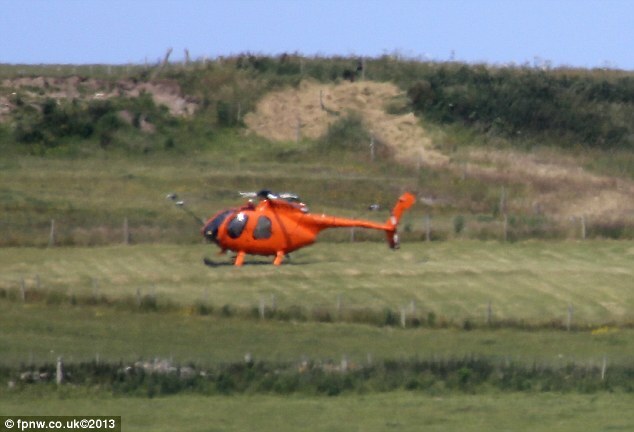 Last Friday, a privately chartered helicopter landed near William and Kate's farmhouse in Anglesey, North Wales, where William is currently working as an RAF Search and Rescue pilot. 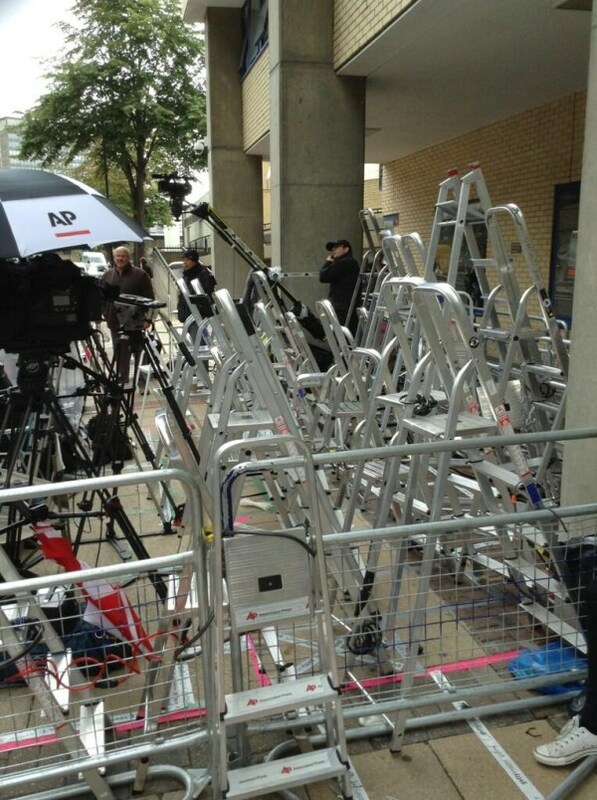 The 175 mph Sikorsky S-76c chopper remains on standby to rush William to Kate's side in under two hours. As the speculative July 13th date approaches one of William's colleagues has been lined up to take over his shifts as he expects to have very little notice when the big moment arrives. Contingency plans are in place in case bad weather grounds the helicopter. A Palace spokesman confirmed train and road were still being considered. Meanwhile, the Duchess has been staying with her parents in Bucklebury, Berkshire. If there is an emergency she will be taken to the hospital via ambulance or even air ambulance but she hopes to make the journey to St Mary's by car. Meanwhile, staff at St Mary's are preparing for 'EVENT SO601867' (the birth of Baby Cambridge) with staff determined to keep updates as secretive as possible referring to the Duchess as "their special client". The front windows have been hastily frosted and last Monday, Kate made a visit for a private check up - somehow managing to evade the photographers' lenses and camera crews camped out outside. Kate's gynaecologist Marcus Setchell is on standby and hasn't touched a drop of alcohol in weeks in preparation for the big arrival. The 70-year-old has joked that he might return from retirement to deliver William and Kate's other children! 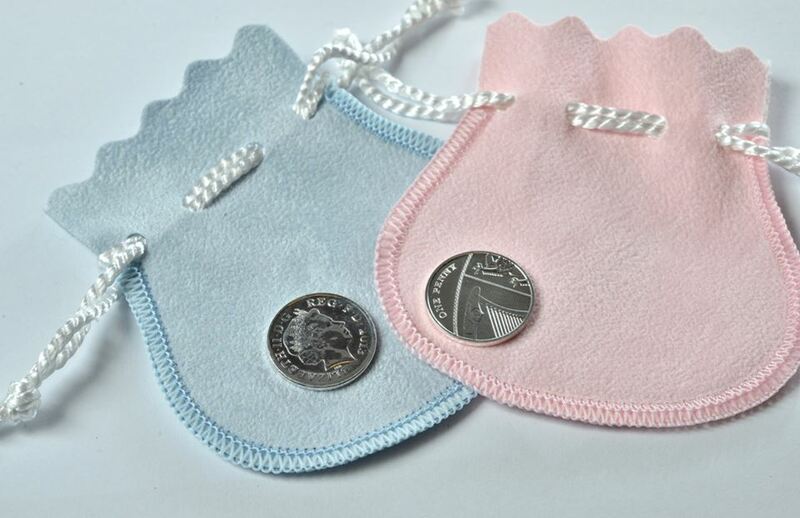 Speaking of silver pennies, babies born on the same day as Baby Cambridge will receive a lucky silver penny the Royal Mint announced earlier this week. An average of 1,983 children are born in the UK each day, so 2,013 of the commemorative coins have been struck to ensure there are enough. The coins are worth £28 but parents can obtain one free by registering their child's birth on the Royal Mint's Facebook Page. The Telegraph reports Baby Cambridge has received his/her first wedding invitation. Share your thoughts and excitement by commenting! Much thanks for the informative blog & replys :) Congratulations to Andy!! So very refreshing to hear and talk about good, happy news, such as Baby Cambridge! I want to visit England soon! AAAH Yes ANDY! Bet Kate wishes she could be there!! Can't wait for Baby Cambridge! Again thank you for this great post. I am so excited about the birth of Baby Cambridge. I hope the beautiful Duchess has a safe & speedy birth. And I hope for her that William is either with her now or will be able to make the birth in time. It is the most exciting thing to see the birth of your first born. If Catherine watched the tennis and bounced up and down as much as I did, maybe she will have the baby tonight. I was thinking the same thing, Jean from Lancs! Some of those missed points were enough to send any pregnant lady into labor, and you know she had to be watching. Well done, Andy! I'm sure Kate is more anxious to have her child than all of us put together. I Can't wait for the Royal Baby to be born! I'm betting on a lovely little Princess. I hope the Duchess has a easy birth resulting in a healthy baby. I am so excited for the new addition! OMG I keep checking every several hours if Kate has been admitted. Yay! Baby almost here! How long is a typical maternity leave in the UK? In the US, it ranges from 6 weeks to 3 months. Anything longer is usually considered "extended leave". Ur entitled to take up to a year. But only the first few weeks of it are paid. Polly bath. In Brazil, women can take 4 months. And the 4 months are paid. I have to say that I most definitely have the royal baby fever!! I can't wait! I'm trying not to get too overly excited since it could be any time in the next couple weeks, really. I was 10 days late with my first, but then my sis-in-law was 3 weeks early with her first... you just never know! The picture of the inside of the hospital is very interesting. In regards to Kate hoping to take a car from her parents' home, about how far is Bucklebury from St. Mary's? Thanks for keeping us updated Charlotte!! Yes I have the.same.question how far is it from Bucklebury to the hospital? This is a bit nerve wracking, I can imagine how you all in England feel and the family members. Whoopeeee! Charlotte, I believe the Today show here in the US reported today that she has been staying at KP rather than Bucklebury in order to be closer to the hospital. Where did you read she's camped at Bucklebury? Just curious. There are numerous conflicting reports on that. I expect she's dividing her time between both, a couple of royal reporters said they believe she's in Bucklebury at the moment. I am almost more excited for Baby Cambridge to come than I was when my own children and grandchildren were born! I check on this blog nearly daily because you seem to have the most current and accurate information. Thank you so much for doing this blog! Everyone is just so excited! I thought Baby Cambridge might be a little earlier, but probably July 13th is the right due date! We will see. I'm just wondering that Kate is staying in Bucklebury until the arrival of the baby. It will be officially announced that she has been admitted to the hospital. There is more than one side entrance and also a back entrance to St. Mary's. Do we know for a fact she's in Bucklebury, which is about 54 miles from London, not including the distance and hassles of driving through the city once you get there. She'd get to hospital faster if she were at the Kensington Palace cottage the Cambridges have been using. Her mother could be staying with her there. Wouldn't the press have all entrances covered with their journalists ? That depends on how the entrances are situated. If you have to cross hospital property (such as a parking lot) to get to any of them, the press could at least be kept at a substantial distance. I'm sure they've chosen an entrance that will allow for the greatest degree of privacy possible. And if she's lucky, she'll go into labor at night, when the media presence may be somewhat reduced. I am literally hitting the refresh button way too much to be considered crazy :). Can't wait! I am sooo excited! Never checked this blog so often before :D Hope everything goes well :) And I do wonder how could Kate have managed to avoid all the paparazzi at St Mary's? And how do we know then she'd really been there? I'm so happy for Andy! He truly deserved it! It is so great! I missed this anxiety! The last time it was for the Royal Wedding! But it was good to have an especific day to wait for!! As much as we all are excited for Baby Cambridge to be born, I will bet that no one is more eager for Kate's baby to be born and for Kate to get her body back than Kate herself. P.S. 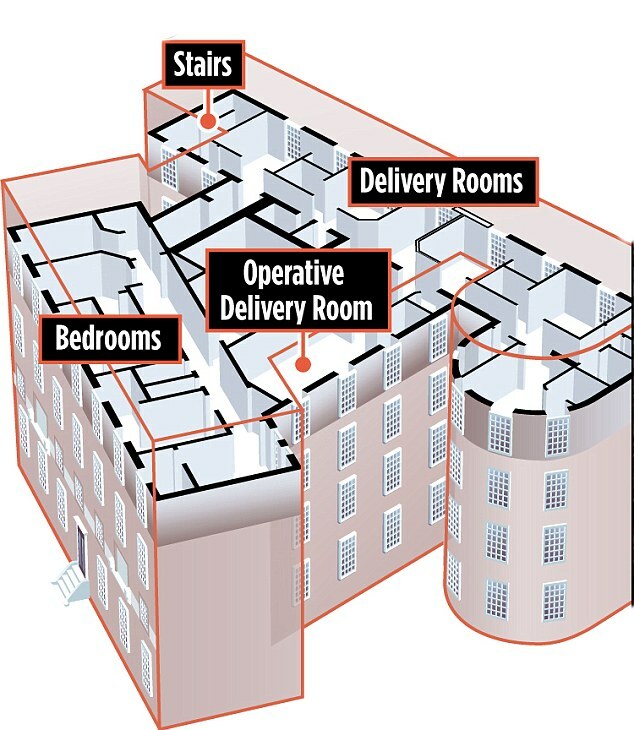 on the Lindo Wing diagram, I saw the stairs. Isn't there an elevator? I hope you have a speedy recovery, my friend! It's going to be a boy.. Named Andy and it will be tonight. Kudos to Charlotte - for keeping us updated - got my phone to ring loud @ clear each time you post! !! Thank you for all that you do for us Duchess fans! !! How do you set up notification for each time Charlotte posts? Oh my, I'm checking frequently. Praying for a smooth, stress-free, healthy delivery! I just read those articles, Charlotte, and I have to say that I'm glad to have this blog to read/post comments. I'm not sure I've ever seen anything quite so vicious as some comments at the end of the Telegraph article. I'll never understand that level of spite. I quite reading DM comments, so I will this paper too. Elizabeth, me too. Quite why Kate attracts such vitriol is beyond me. Even if some people don't approve of the Royal Family, there is no need to go to such levels of spite and sheer nastiness in their comments. I console myself with the thought that it's probably the same few hundred trolls who keep posting on the DM site and that most of the country thinks that Kate is great. There was a poll last week that gave the Monarchy an 85% approval rate, with Catherine the most popular member. I suppose that must infuriate republicans, but some of the vitriol expressed is really mot acceptable. Any update? Baby fever here in States too. Btw congrats to andy murray you swing my feet away during the game you deserve it all your efforts paid out the excitement of duchess birth royal baby .. is now on the hit now im checking every minute and to your facebook and to your twitter up this well loved blog .. i hope you blog will not crashed when royal baby arrive ... andy marry kim now.. I am just now checking because I thought Charlotte might post about the Wimbledon outcome and I just finished watching the match! I had it recording this morning and wanted to be able to watch the whole match before knowing. 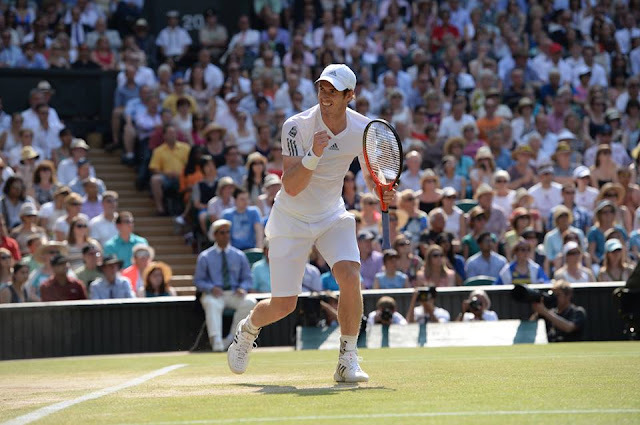 I am SOOO excited for Andy and Great Britain! 77 years is a long time coming and he deserved the win...although Djokivic played a great game too! Charlotte, I love the picture you posted of him smiling. That's rare and so sweet. Congrats Andy! Sweltered through a super hot day here in Somerset - 30 degrees by midday - and really was so glad I'm not pregnant! I really feel for Kate (and any other pregnant ladies out there), I hope she spent the day sat in front of a fan! And more baby news....according to the Telegraph, Zara is expecting due early in 2014. I wish the whole family the best of luck! So excited God bless them!! I wish them a safe delivery and above all else, I wish them PRIVACY. They need time to bond with their baby. Of course they'll have privacy. They do now. 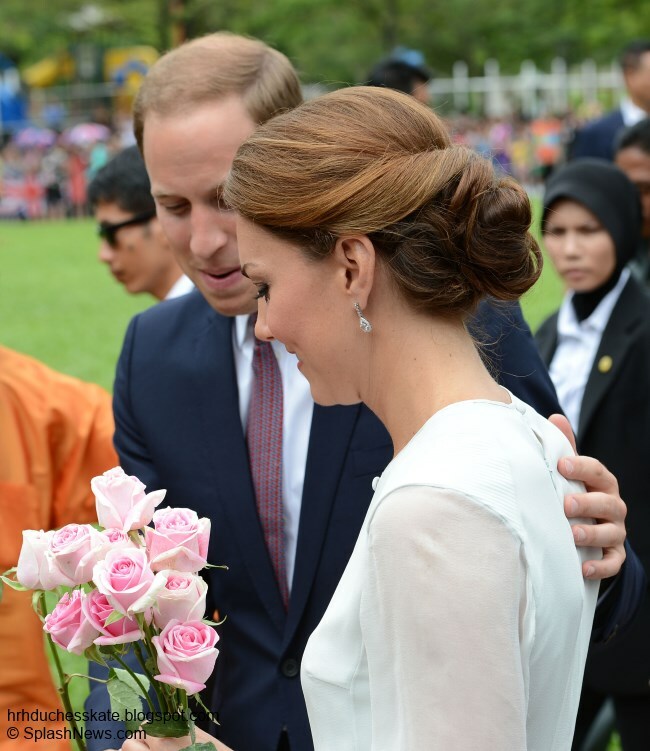 We don't see much of the royals on or off duty. Thank you so much for this blog and all the wonderful and informative information on TRH ......I am a friend from the other side of the pond. ten bucks says this is all for show and she is actually at her parents and going to have the baby at that general hospital LOL ;) I can totally see that happening and no media will have any idea until its over. I love the ideas companies are coming up with to celebrate the guessing game of the gender. Did anyone hear about krispy kreme filling their donuts with pink or blue filling!? I think it's a brilliant marketing technique.